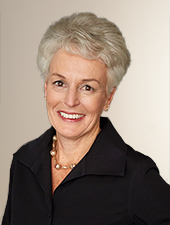 Ann Torre Bates has served as a member of the Board of Directors since October 2013. Ms. Bates has also served as a member of the board of Ares Capital Corporation since 2010, and held a directorship at Allied Capital Corporation until it was acquired by Ares Capital Corporation in 2010. Ms. Bates also serves as a director or trustee of 17 investment companies in the Franklin Templeton Group of Mutual Funds. Ms. Bates was a strategic and financial consultant from 1997 to 2012. From 1995 to 1997, Ms. Bates served as Executive Vice President, Chief Financial Officer and Treasurer of NHP, Inc., a national real estate services firm. Eric F. Artz has served as a member of the Board of Directors since October 2015. Mr. Artz serves as a member of the Compensation and Audit Committee of UNFI. 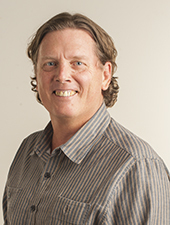 Mr. Artz has served as Executive Vice President, Chief Financial Officer and Treasurer of Recreational Equipment, Inc. (“REI”) since May 2012 and as Chief Operating Officer since August 2014. Prior to that role, Mr. Artz served as Chief Financial Officer for Urban Outfitters, Inc. from February 2010 to April 2012. From August 1992 until January 2010, Mr. Artz served in various positions of increasing responsibility at VF Corporation. 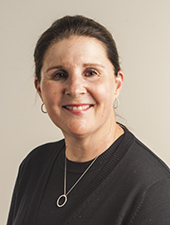 Denise M. Clark has served as a member of the Board of Directors since February 2013. Ms. Clark has also served as the Senior Vice President and Global Chief Information Officer for The Estée Lauder Companies Inc. since November 2012. Prior to that role, Ms. Clark served as Senior Vice President and Chief Information Officer for Hasbro Inc. from October 2007 to November 2012. Ms. Clark also served at Mattel, Inc., where she was Global Chief Technology Officer and later Chief Information Officer for the Fisher Price brand between January 2000 and February 2007. Ms. Clark's previous experience includes two other consumer goods companies, Warner Music Group, formerly a division of Time Warner Inc., and Apple Inc.
Daphne J. Dufresne has served as a member of the Board of Directors since October 2016. Ms. Dufresne was a Managing Director of RLJ Equity Partners, a private equity fund from 2006 to 2016. Ms. Dufresne participated in building the RLJ investment team, raising capital to fund its operations, and constructing a partnership with The Carlyle Group, a global private equity firm. Prior to RLJ, Ms. Dufresne was a Venture Partner during 2005 with Parish Capital Advisors, an investment fund for emerging and experienced institutional investors and a Principal from 1999 to 2005 at Weston Presidio Capital, a private equity organization. She also served as Associate Director in 1997 in the Bank of Scotland’s Structured Finance Group. Ms. Dufresne has been a director of Condor Hospitality Trust, Inc. since June 2015. Michael S. Funk has been a member of our Board of Directors since February 1996. Mr. Funk served as Chairman of the Board from September 2008 to October 2016 and served as our President and Chief Executive Officer from October 2005 to September 2008. Mr. Funk also served as Chairman of our Board of Director from January 2003 to December 2003, as Vice Chair of our Board Directors from February 1996 until December 2002, as our Chief Executive Officer from December 1999 until December 2002, and as our President from October 1996 until December 1999. Since its inception in July 1976 until April 2001, Mr. Funk served as President of Mountain People’s Warehouse, Inc., one of our wholly-owned subsidiaries. Mr. Funk currently serves on the Boards of Directors of Traditional Medicinals, World Finer Foods, and the Non-GMO Project. He also serves on the Advisory Board of The Organic Center, an industry-focused, non-profit organization. 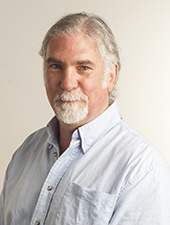 James P. Heffernan has served as a member of the Board of Directors since March 2000. Mr. Heffernan serves as Chair of the Compensation Committee and as a member of the Audit Committee. Mr. Heffernan has served as a Trustee for the New York Racing Association since November 1998, and is currently its Vice Chairman. He has also served as a Director of Command Security Corp. since October 2010, and was a Director of Solutia, Inc. from February 2008 to July 2012. He previously served as a member of the Board of Directors and Chair of the Finance Committee of Columbia Gas System, Inc. from January 1993 until November 2000. 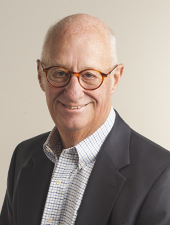 Peter A. Roy has served as a member of our Board of Directors since June 2007. Mr. Roy serves as the Chair of the Nominating and Governance Committee. 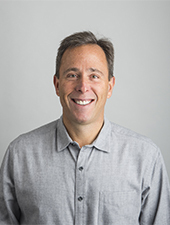 Mr. Roy is an entrepreneur and since 1999 has been a strategic advisor to North Castle Partners, a private equity fund focused exclusively on investments in consumer-driven product and service businesses that benefit from healthy living trends. He also serves on the Boards of Directors of Applegate Farms and Next Foods. He is a Board member and partner in Manifesto! Wines LLC as well. From 1993 to 1998, Mr. Roy served as President of Whole Foods Market, Inc and, for five years prior that, served as President of that company’s West Coast Region. Steven L. Spinner has served as our Chairman since October 2016 and as our President and Chief Executive Officer since September 2008. Mr. Spinner has been a member of our Board of Directors since September 2008. Prior to joining the Company in September 2008, Mr. Spinner served as a director and as Chief Executive Officer of Performance Food Group Company (“PFG”) from October 2006 to May 2008, when PFG was acquired by affiliates of The Blackstone Group and Wellspring Capital Management. Mr. Spinner previously served as PFG’s President and Chief Operating Officer beginning in May 2005. Mr. Spinner served as PFG’s Senior Vice President and Chief Executive Officer – Broadline Division from February 2002 to May 2005 and as PFG’s Broadline Division President from August 2001 to February 2002. Mr. Spinner has also served on the Board of Directors for Arkansas Best Corporation, a public company and the parent of ABF Freight System, Inc., since July 2011.